As the seasons change, we take the opportunity to asses where we are at present and reflect on what’s inspiring us. We take the time to get quiet, through asana, mantra and meditation so that we can connect to our inner knowing and listen to what is needed to feed our spirits. 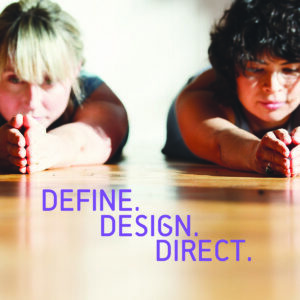 Last night Carolyn Anne Budgell and I led one of our favorite events, Define. Design. Direct. Through our own practices and discussion, Carolyn and I created this workshop. Last night was the fourth time we have shared it with our community. Each time, we are blown away with the openness and vulnerability our kula brings to the course. Each time we are inspired to go deeper. We continue to refine the offering. In my own practice, Saraswati has been showing up strongly this season. 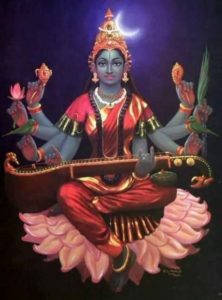 Saraswati represents wisdom, knowledge, she is the muse of creation. Last night we chanted her mantra to invoke our own wisdom, to call upon our inner knowing. Om, I bow to the flowing one whose essence is wisdom. We call upon Saraswati for insight, deeper meditation, intuition, answers to questions both intellectual and practical. Two quotes I didn’t end up sharing last night but was inspired by, I share here. May this seasonal transition be a time to slow down and reflect on what you’d like to call in.